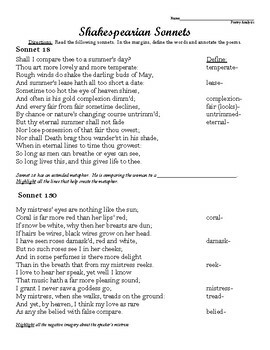 This worksheet asks students to compare the themes and ideas of these two famous Shakespearean sonnets. 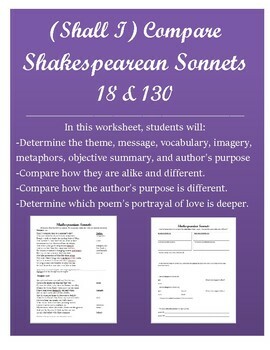 It's fun to argue examples of the type of love in poems, especially with teenagers. Determine which love is more real: the one in 130 or the one in 18. 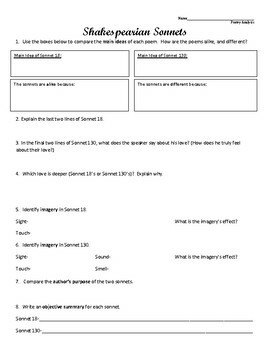 My students love arguing about this. Is beauty equivalent to love? Is love more important than beauty?